128K IS THE 1985 fashion adopted by manufacturers eager to stimulate a depressed home computer market. Within the constraints of current technology memory expansion is the obvious way to create a new product, as Atari and Enterprise have already shown. In reality just expanding Ram from 64K to 128K advances home computing only marginally. The Commodore 128 follows in the wake of the unsuccessful C16 and Plus 4 – both victims of Commodore’s incompatibility of models that alienates software houses who are not prepared to support an ever increasing variety of machines in smaller numbers. In upgrading their product range Commodore had to come up with a machine that met the fashion yet was compatible with other Commodore products, especially the CBM-64. Commodore deserves applause from all quarters of the industry for at last establishing compatibility within their range, yet producing a really exciting new machine. The Commodore 128 is in fact three computers in one. It is a 128K machine with a much improved Basic. It is to all intents and purposes a Commodore 64. It is also capable of running CP/M and well warrants the description of both home and small business computer. The three computer identity is achieved by an architecture that combines the 6510, the 8502 and Z80A microprocessors, a combination that allows for three main operating modes. Five modes are available on the 128, Commodore 64K mode, Commodore 128K mode and CP/M mode and optional 80 column screen modes available in 128 and CP/M mode only. On powering up the Commodore 128 defaults to the 128K mode with a 40 column screen. 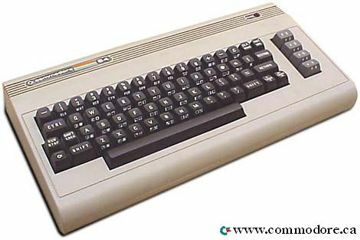 The 128K mode runs an extended version of Commodore Basic 4.0 known as Basic 7.0. An optional 40/80 column key located in the down position – like shift lock – activates 128K 80 column mode. The other modes are attained via Basic commands or by having a Commodore 64 cartridge plugged for CP/M mode, into the game port for 64K mode, or CP/M utility disc in the disc drive when the computer is turned on. The 80 column mode can also be activated from Basic using an Assign Command. The 128K mode provides all the normal Commodore 64 facilities. However, on switching on an impressive “122365 bytes free” message is displayed on the screen. In 40 column mode a VIC 11 chip provides a composite video output, 80 column mode is produced by an RGB output from an 8563 video chip. The 128K Ram is divided into two banks; the lower bank for the text portion of Basic programs, the upper for variables strings and arrays. Sound is produced in all modes by a SID chip. In 64K mode the 128 behaves exactly like a Commodore 64. The screen displays the familiar “38911 bytes free” message and a 40 column screen only is available. Initialisation is achieved from Basic by the command “GO 64”, alternatively the machine will default to the 64K mode driving power up when a Commodore cartridge is located in the expansion-game port. CP/M mode is initialised by default in powering up if a CP/M utility disc is located in an attached drive, or from the 128K mode by using the basic command “BOOT”. The C128 runs CP/M version 3 using the on board Z80A processor running at 4MHz. Basic 7.0, which is available in the 128K mode, is the most extensive version of Basic yet to be released by Commodore. It is an enhancement of CBM Basic 4.0 with a total of more than 140 commands, functions and statements. Structured programming commands, similar to those used in Simon’s Basic make Basic 7.0 also the easiest Basic yet released by Commodore, being literal without being wordy. Some commands give . Basic the structured programming power of Pascal or Fortran, notable are a Do/Loop/While/ Until/Exit command and a Print Using command with an accompanying definition command Pudef. There is also an extension to the If… Then statement using Begin and Bend to define any number of lines to be executed as part of the then condition. Error trapping within programs is handled by a Trap and Resume combination. In addition the Commodore 128 offers a number of commands to help enter and debug programs. There are the regular Auto and Delete and a Help key that homes in on syntax or division by zero errors highlighting them on screen in reverse video. Particularly useful are Tron and Troff, a function that traces each line of a program as it is being executed and prints the line number to the screen. Built into the C128 is a handy 14 command monitor. The graphics facility of the CBM-64 was one of its more attractive features. This is retained on the C128 in the 64K mode. In 128K mode there are commands to draw, move fill and manipulate points, lines and shapes on a high resolution screen. A single command produces split screen for text and graphics. In all 128K mode allows for normal text screen, high-resolution screen, split screen text/high resolution, multicolour high resolution or split screen with multicolour and text. Screen type is chosen using a new command Graphic, other new commands are Circle, Box, Paint and Draw. 128K mode provides the same 16 colours that are available in 64K mode. However, because of the two screen mode, higher resolution is possible and the maximum is 640 by 200. As in 64K mode 128K mode allows for up to eight sprites, these can be readilt created using a sprite generator package resident in firmware. Three sound channels are available. The sound is controlled by five basic commands Vol, Envelope, Filter, Tempo and Sound. 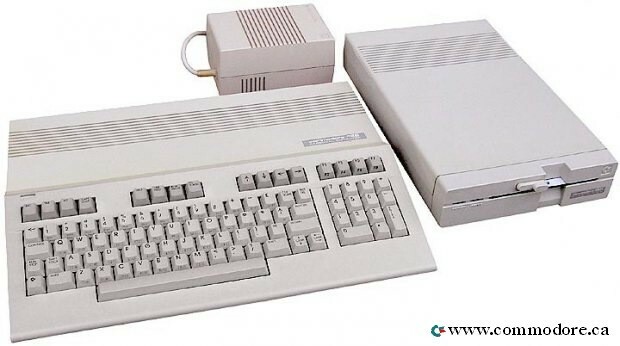 The dowdy shoebox image of the Commodore 64 has been replaced by a slimline beige console that any style-concious businessman should be pleased to have on his desk. A full size typewriter style keyboard has 92 keys, that travel and locate well. The keyboard is in six parts: a standard wordprocessor type layout with symbols, numbers and letters; a 14-key numeric pad; four double function programmable function keys; six cursor control keys; and a further two rows with 40/80 column key, line feed, cap lock and so on. Interfacing with the C128 is achieved via a range of ports located to the side and back. These are a user port, a cassette port, two games ports, serial port – Commodore standard, RF/TV port, audio input and output ports, composite video/RGBI video. Two new peripherals are already on the way to accompany the new machine. To many people’s relief a new disc drive the 1571 will replace the old 1541. The 1571 will be a 5.25in. disc with a 350K capacity. The other peripheral is a matter of necessity rather than choice, that is unless you want to have two monitors. 80 column mode produces an RGBI output. By the end of 1985 the Commodore 128 will be a strong contender for micro of the year. Already in excess of 6,000 software titles are in existence. In CP/M mode the C128 is a realistic small business computer, in 64K mode it is a home machine, in 128K mode I have no doubt it will prove its worth. The one doubt that exists about its future is the price, which is in the hands of the dollar/pound dealers.